Genuine leather palm provides a natural feel, dexterity & amazing grip. Synthetic overlays add support and durability in all the right places. Perforations built over the fingers adds extra breathability. Elastic wrist cuffs with Velcro closure provides support & a locked‐in, powerful feel. 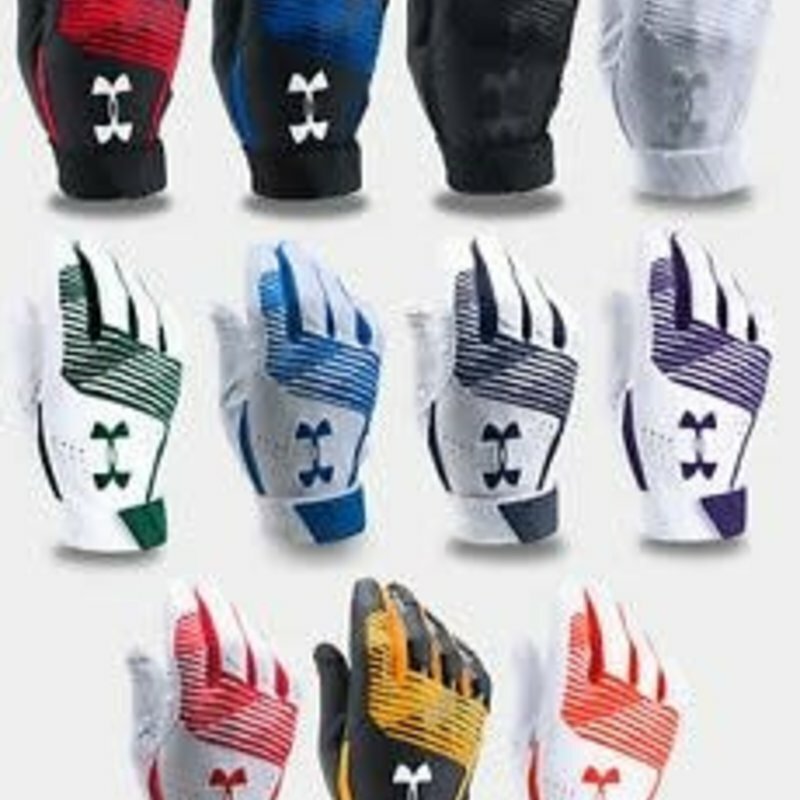 Renowned Under Armour HeatGear® technology wicks perspiration away from skin to provide dry comfort. UA Lockertag allows personal uniform number marking.